What is Lipostabil? It is a ‘Fat dissolving injections’ have become the latest buzzword for weight loss! Even with the growing popularity of fat dissolving injections, there is little awareness of what these injections are and how they help in weight loss. In fact, there are several myths surrounding fat dissolving injections. It is very important to highlight benefits of fat dissolving injections to give users a clear understanding of how these injections help. Lipostabil is one of the leading non-surgical cosmetic medicines for fat burning. Lipostabil is used in mesotherapy – the term used to describe the use of multiple injections into subcutaneous layer. Lipostabil has established the efficacy of using drug mixtures to destroy fat cells in the body. Their use is based on the research that the infusion of Phosphatidylcholine PPC containing solutions in the body can remove body fat. 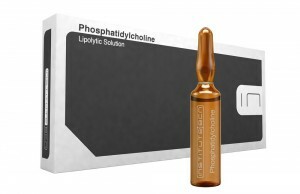 Lipostabil consists of phosphatidylcholine and deoxycholate, Phosphatidylcholine is a type of lecithin that helps body to metabolize and burn fats. Lipostabil is used as an alternative to liposuction in certain people. Lipostabil has become very popular in recent years due to its efficiency in fat burning. With Lipostabil serum, you can perform injectable liposuction. When this serum is injected locally, it lowers the cholesterol and triglycerides levels. When it is used for cosmetic procedures, Libostabil melts away the fat surrounding blood vessels. Lipostabil is a non-invasive procedure to burn cellulite and fat. Another benefit of Lipostabil is that topical anesthesia is optional, thus making the procedure quick and convenient. Also known as Flab Jab, it can be directly injected into problem areas. These advantages have made it an optimum choice for anyone looking to lose weight. Considering the potential held by Lipostabil, cosmetic doctors around the world are hoping that it will be able to replace high price liposuction. With Lipostabil, you can rest assured of a safe and non-invasive cosmetic solution to your fat problems.